A ‘gummy smile’ is one where the gums show when you are smiling. It is thought that 10% of people show their gums when they smile. Gummy smiles can easily be treated with small amounts of anti-wrinkle treatment. The shape and height of the teeth – patients with short upper teeth can have a high gum to tooth ratio. A procedure called ‘crown lengthening’ can be performed by specialist dentists to reduce the amount of gum covering the teeth and remodel the bone underneath the gum to make the teeth look taller. The amount of gum covering the teeth – this can again be addressed by the dentist. Excess gum tissue can be removed in a dental cosmetic procedure to make the teeth look taller. The amount that the upper lip moves when you smile – patients with gummy smiles often have a very active muscle known as ‘levator labii superioris alaeque nasi’ or LLSAN for short (shown in the diagram below). I like the describe the LLSAN as the muscle that contracts when we ask a patient to ‘snarl’. LLSAN lives alongside the nose and is responsible for lifting the upper lip. Anti-wrinkle injections are a great temporary treatment for gummy smiles. Treatment involves normally just 2 small injections of 1-3 units per side of the nose. 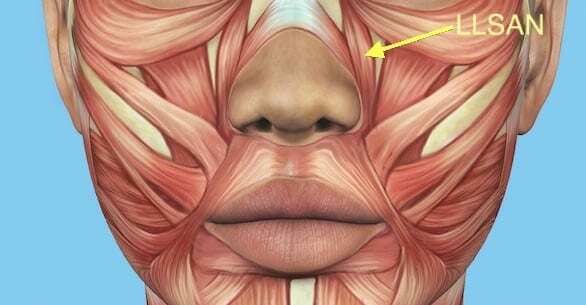 The muscle injected is called the levator labii superioris alaeque nasi (LLSAN). 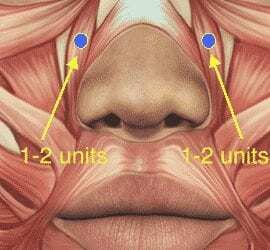 This muscle is bilateral down the sides of the nose and the action of the muscle is to pull the top lip up when smiling. When a small amount of anti-wrinkle injections are injected into this muscle, it temporarily relaxes the muscle down, which results in showing less gum. Is gummy smile painful treatment painful? How many ‘units’ will I need to treat my gummy smile? We often use 1 or 2 units on each side of the nose to treat a gummy smile. Please note that at Cityskin we charge a flat fee of $150 when you treat the gummy smile alone. Who cannot have gummy smile treatment? If the bottom of the middle of the lip is lower than the bottom of the outer lip when you smile you cannot have gummy smile treatment. When we treat a gummy smile we relax the LLSAN muscle, which is responsible for lifting the middle part of the lip on smiling. If the middle of your lip is lower than the outer part of the lip before we treat then it will drop further after treatment and cause a Joker smile. Where can I have gummy smile treatment? All of our practitioners at Cityskin can perform the treatment. How much will treatment for gummy smile cost? At Cityskin we charge a flat fee of $150 when we treat the gummy smile on its’ own. We do not charge a consultation fee. For more information on treatment costs click here. How long does gummy smile treatment last? Depending on how strong the muscles are that pull the top lip up to smile are, they only require 1-3 units per side. Because this is such a small dose of anti-wrinkle injections, you may not get the ‘typical’ 3 months out of the treatment. In saying that, most of my patients are satisfied with the results for 2-3 months after treatment, with only 1-3units per side. Anti-wrinkle injections start working within 1-3 days post treatment, continue to work for 2 weeks and can lasted to 3 months, depending on how many units were used. ie. less units may not last as long. This is an area where a conservative approach needs to be taken, because if too much product is injected, you won’t be able to smile ‘properly’. More anti-wrinkle injections may be administered at 2 weeks after injection, but there is no ‘reversal’ for anti-wrinkle injections. 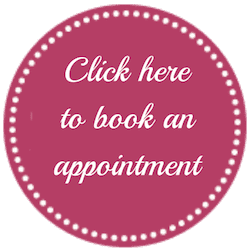 Book a free consultation by clicking on the button below.